REMARKS BY MR TOM BURKE CBE AT THE ESG INVESTMENT FORUM, AMBA HOTEL, CHARING CROSS, OCTOBER 26TH 2016. Thank you for inviting me to speak to you this morning. It is just over forty years since I came to work for Friends of the Earth in London. Then, as now, my main goal was to make the world go round differently. It took me a while but eventually I did learn that money really does make the world go round. That set me a new challenge. I now had to find out what made the money go round. There are few better places in the world to learn about what makes the money go round than the city of London. I had no difficulty at all in finding a large number of people eager to make sure that I really understood what they did to make the money go round. What I learnt, in short, was that it is gossip that makes the money go round, albeit gossip of a particularly sophisticated kind. If I put that more politely, it is conversation that makes the money go round and very often it is the conversations that precede the mobilisation of the City’s vast analytic capacities that make the most difference. So it is particular pleasure for me to be invited to join this conversation at such a crucial juncture. Changing the way the money goes round to meet the world’s need for affordable energy is perhaps the single most urgent aspect of our response to climate change. The urgency of this task was underlined by the announcement earlier this week that concentration of carbon dioxide in the atmosphere passed the 400 parts per million mark in 2015. This is the level beyond which our chance of keeping the eventual rise in global temperatures below two degrees falls away from evens. Few now doubt the magnitude, and the urgency, of the developing crisis in the climate. That the world is beginning to wake up was clearly shown by the Paris Agreement and the more recent agreement on HFCs in Rwanda. These were extraordinary examples of global cooperation at a time when confidence in multilateral policies elsewhere is falling. Nor do many doubt the depth of the current problems with the global economy. The rise of trump, the Brexit vote, popular support for authoritarian regimes in places as far apart as Poland and the Philippines are all indicators of falling public confidence in the ability of governments everywhere to restore vitality to the global economy. The prospect of a vicious spiral of decline is becoming visible. Climate change adds further stress to a struggling global economy. This undermines global cooperation and triggers a retreat into nationalism and protectionism which in turns slows, or even halts, efforts to tackle climate change. As the temperature rises stress on the global economy worsens. What I want to argue this morning is that it is not only possible, but an urgent imperative, to make the money go round differently so as to turn this vicious spiral into a virtuous circle. To do this we have to build a bridge between the climate crisis and the economic crisis. The Paris Agreement is one pillar of the bridge. In Paris nations agreed a goal to keep the global temperature rise manageable. They also agreed that the commitments they were ready to make would not achieve that goal. So they put in place a mechanism to regularly ratchet up their ambition. But more significant than the formal text of the agreement is the political dynamic that took us to such a big success. At Paris the world turned two political corners on the path to a safe climate. It is now clear to governments everywhere that the political risks of not acting on climate change are growing while the political risks of acting are falling. This change is being driven by events. It is no longer new scientific knowledge that is driving governments to act. It is the events that climate science has forecast already starting to happen. At the same time the political risk of acting is falling as the costs of low carbon technologies continues to fall dramatically. This means they are replacing fossil fuels at a far faster rate than has been forecast by the International Energy Agency and similar bodies. What we are seeing is a change in the fundamental political equation as seen by governments. Until Paris the equation looked like a choice between today’s winners (dividend and revenue rich fossil fuel companies) and tomorrow’s losers (companies hit by a changing climate) plus tomorrow’s possible winners (the low carbon technologies). For most politicians that’s a no brainer. Whatever gestures you might make publicly, in private you back today’s winners. This equation is morphing into one in which governments face a different choice. Now it is between today’s winners (fossil fuel companies) and today’s losers (companies already being hit by a changing climate) plus today’s winners (renewables are now attracting the bulk of global investment in electricity generation). This is a much more difficult choice for politicians to make without thinking it through. Voters everywhere prefer renewables to fossil fuels and worry increasingly about extreme weather. This led to a rather sterile debate which kept economists busy over whether the costs of dealing with climate change were bigger or smaller than the costs of not dealing with it. This framing posited the question as a false choice between the economy and the climate. What we are seeing now is a public narrative increasingly about how best to take the opportunities of building a low carbon economy. Saying ‘yes’ to something is always more politically attractive than saying ‘no’. As the low carbon technologies move out of the laboratory and into the market so the nature of the climate policy debate is changing. The focus is now increasingly on how to make the economy work better – be smarter, cheaper and cleaner – and pick up all those climate benefits on the way. One of the most encouraging sights in the run up to Paris was that of central bankers getting involved in climate change for the first time. They had not previously been notable participants in the debate. There have been few stronger signals to governments of just how serious a problem climate change is becoming than Bank of England Governor Mark Carney’s speech last September. In it he warned of what he called the tragedy of the horizon – something climate policy makers have long understood – the danger that by the time it had become obvious that something should be done about the climate it would be too late to do it. In his recent Arthur Burns Memorial Lecture Carney returned to climate change. In doing so he erected the second pillar of the bridge we need to build between the climate crisis and the economic crisis. In the speech he sets out three ways in which climate change represents a threat to financial stability. First, the physical risks of a changing climate could over time threaten the ability of the insurance market to provide the coverage necessary to sustain corporate investment. Third, there are the so-called transition risks. These are the risks that policy changes, or technology changes, or the physical risks of a changing climate, could lead to, sometimes abrupt, changes in asset values. I would add a fourth category of risk to financial stability that is indirect. These are second order effects. Climate change is a stress multiplier. It is already clear from Syria that it can play a key part in creating failed states. Clearly companies with investments in states with a high vulnerability to climate change and weak governance will need to price these risks well. It would take several such failures simultaneously to precipitate financial instability globally. But we should not overlook the possibility that should such failures lead to regional conflict, in South Asia for example, then the impacts on financial stability could quickly become global. Carney sets these risks in the context of a stuttering global economy that has failed to restore global growth. He then argues that a rebalancing of effort between monetary, fiscal and structural policies as essential to restoring growth to the economy. Or, put in human rather than central banker speech, Mark Carney believes that saving the climate can help save the economy. Central bankers are not, for the most part, renowned for their starry eyed optimism. So if building a bridge between the climate crisis and the economic crisis is desirable, as Carney thinks, how is this to be done. In E3G, we have been giving some thought to how the EU could help forge a strong alignment between the needs of the climate and the needs of the economy. The Commission has already begun by doubling the financial capacity and duration of the European Fund for Strategic Investment. This will make at least €200 billion available for climate action. Also, its Capital Markets Union refresh will establish an expert group to develop a comprehensive strategy for sustainable finance. It could go further by explicitly linking the CMU to the Energy Union by asking member states to develop national capital raising plans as part of their national energy and capital plans. To further help crowd in private capital the Sustainable Finance Plan 2030 should ensure that all European financial public sector risk sharing tools are fully aligned with the EU’s climate targets. Next, the Commission needs to take the lead in developing comprehensive and widely accepted industry standards for green bonds. 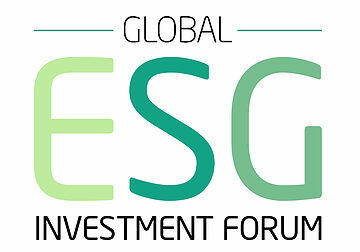 Furthermore, it is past the time when the Commission should have issued guidance to Member States on how they should re-interpret fiduciary responsibilities in relation to ESG risk in their national legal contexts. In addition the Commission should develop legislative proposals to require asset owners to consult their beneficiaries on their preferences for the sustainability of their savings. These steps would be complemented by the Commission developing a mandatory requirement for all asset owners to disclose information about their responsible investment policies and how those policies were being implemented. These are just some of the steps that would help construct a robust solutions bridge between the world’s climate crisis and its economic crisis. We have set them out in more detail in a report we will publish on Friday 28th October. They are all ways to make the money go round differently. I have described how we could begin to do them in Europe but there is no reason why similar measures cannot be adopted everywhere. When I began my career as an environmentalist my passion was to change the economy so as to protect endangered species and human health. There is a nice balance in finding myself now using my knowledge of the environment to help protect the economy.